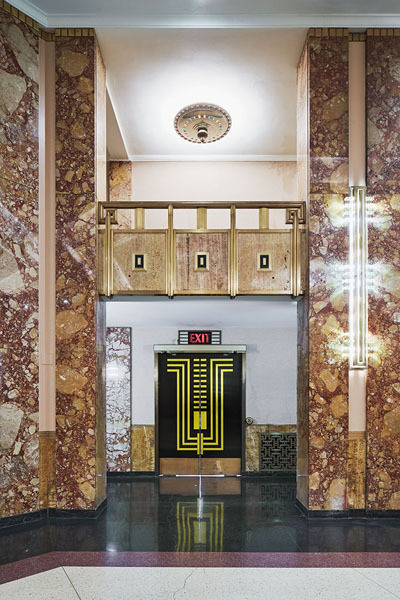 As the stage for Broadway shows, opera, ballet and symphony performances, the Music Hall and Little Theater, a pair of elaborate Art Deco performance halls, play a significant role in Kansas City’s cultural history. 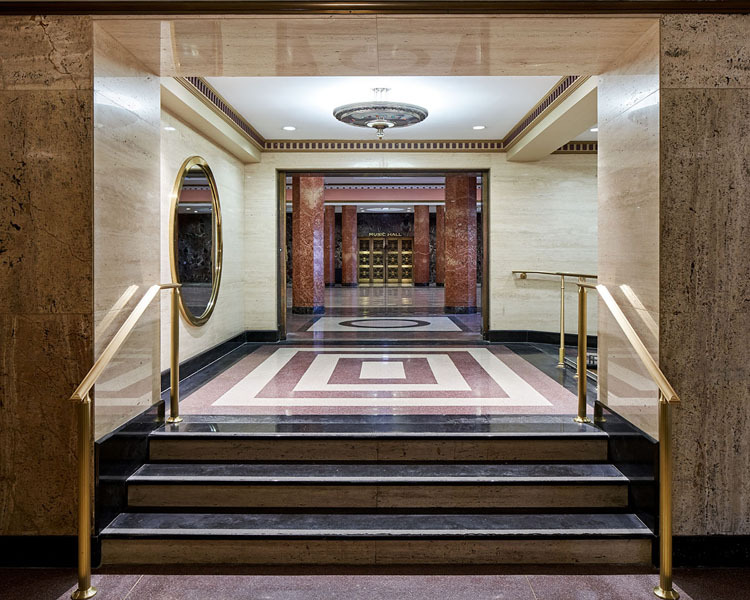 Carefully considered architectural detailing allowed us to seamlessly blend their renovation of operational and accessibility improvements into the historic building fabric, while restoring certain interior finishes. 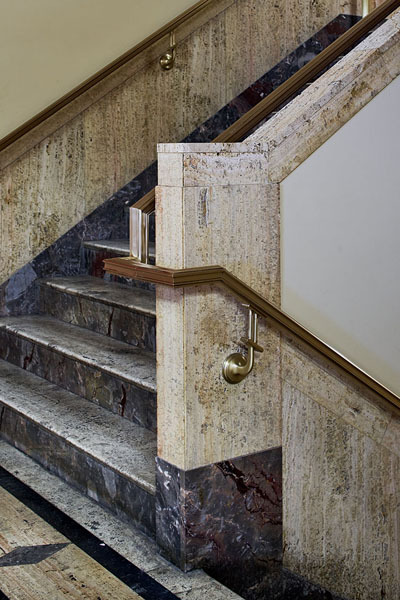 Salvaged bronze handrails were repurposed to modify the grand staircase handrails to meet ADA requirements. 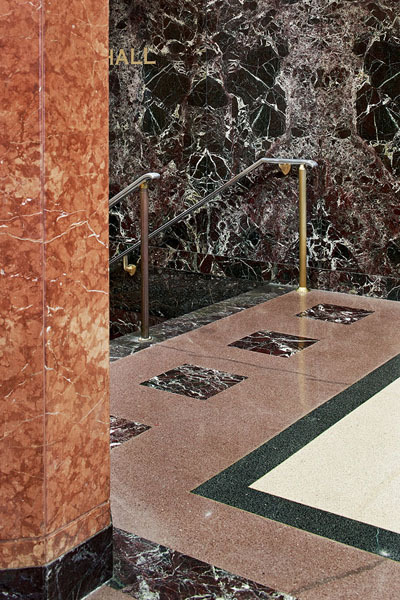 New handrail brackets were crafted to artfully raise existing bronze handrails to proper height so that existing marble walls could remain untouched. 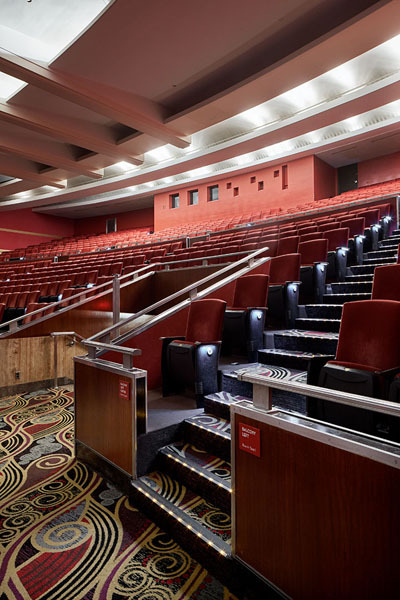 Where salvage materials were not available, new polished aluminum handrails and posts were custom fabricated to replicate existing railings at the Balcony entrances and elsewhere. 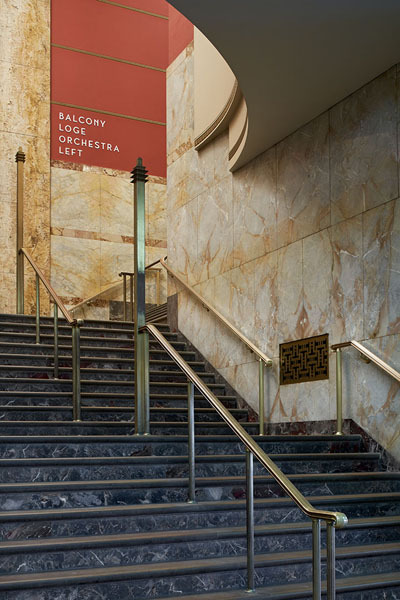 New signage echoes the art deco theater design with a sleek typeface and elegant detailing that mimics the existing. Brushed aluminum letters direct patrons toward their seating to streamline circulation. 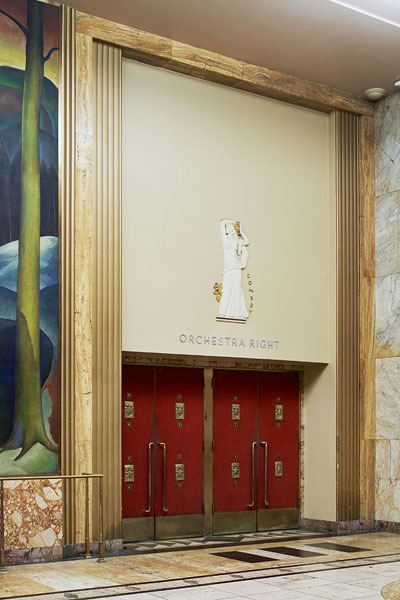 Signage above the theater doors reinforces the message as does signage in the marble stairs to Loge and Balcony levels above. 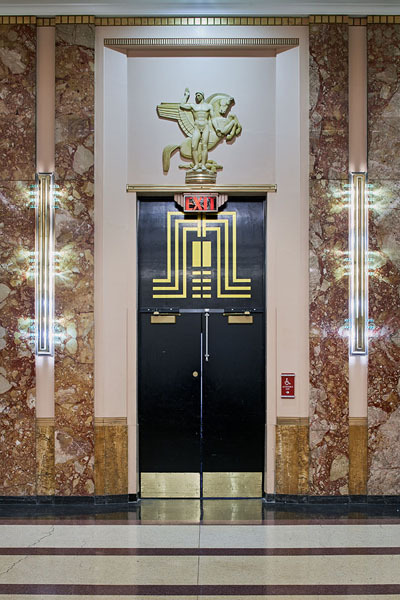 Inside the theater, illuminated signage gracefully duplicates the original lobby design with deco flair. 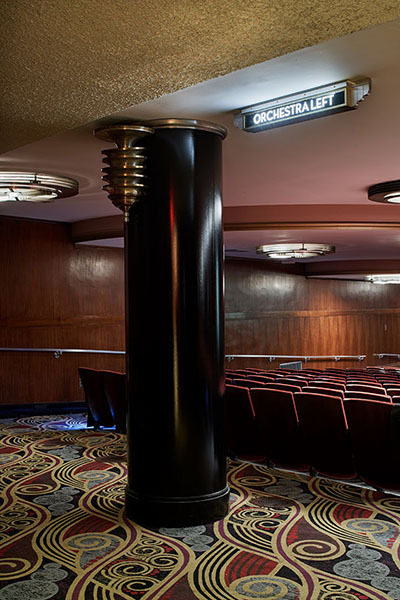 New carpeting throughout harkens back to its roots and its precedent of Radio City Music Hall.